Track 3, "Remix: Afrofuturistic Roadmaps – Rememory Remixed for a Digital Age" talks about the contention that exists between adults and younger generations. Borrowing from Toni Morrison's notion of rememory, Banks speaks about how remix can be an access point for communicating past occurrences to young folk. 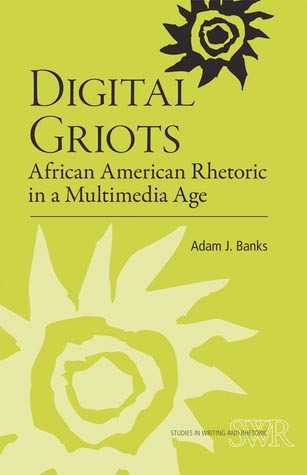 He also brings up eBlack Studies, which is an "ongoing application of current digital information technology towards the production, dissemination, and collection of historical knowledge critical to the discipline of Black studies and to the overall Black experience" (105). For Banks, eBlack Studies has the potential to link the old, to reclaim the past, and to connect/reconnect people; such interactions allow for a remix of information to manifest in relevant ways in order to keep traditions that are important to our existence. Banks's interlude 3 recognizes Cyber Church, which can be found via eBlack Studies at the University of Illinois at Urbana-Champaign. Cyber Church makes connections between the Black church and the African Americans to improve technology access to break oppressive cycles.